I need inspiration to write. I am not the best writer, things just come out when they are ready and sometimes not that clear. But when I am inspired, then I can write this quickly. 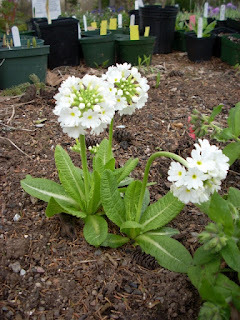 We were off to a Primula Workshop at the Agricultural College in Truro, NS. 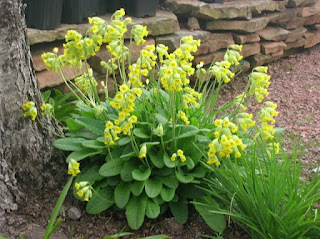 (I am not getting into a naming argument) sponsored by the Nova Scotia Rock Garden Society. 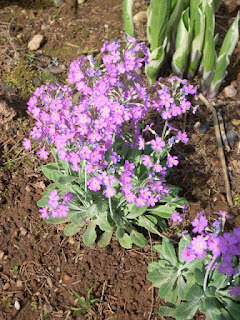 Several of you who read this blog were there, and I think I can say that even I learned a few new things. 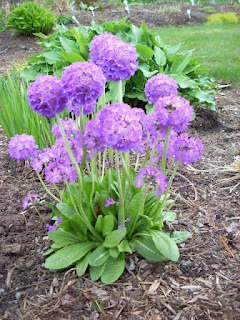 I learned that most primula need moist conditions, throughout the spring, summer and fall. Some like shade but many do well in sun as long as moisture is provided. 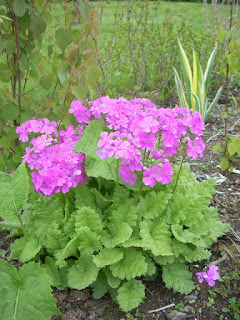 I learned that mid winter is probably the best time to seed primula and that for certain types of primula, you can actually take cuttings (that I didn't know). 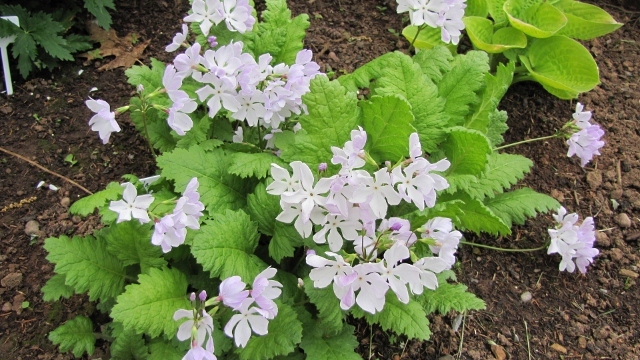 You can actually root the leaves of some of them similar to African Violets and Streptocarpus. 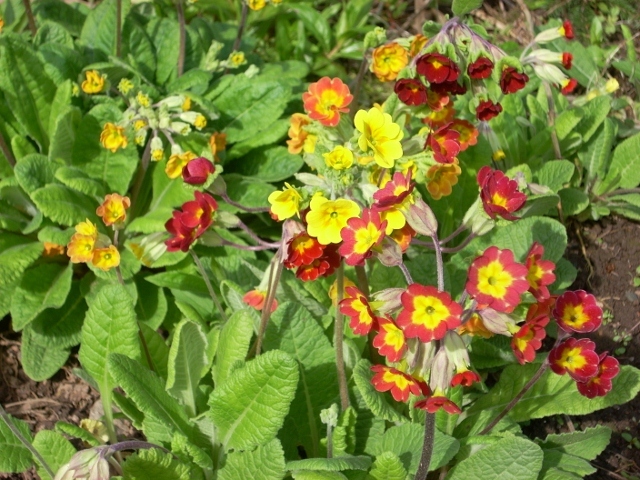 I know from experience that if you have different species you can have primulas in bloom from early spring (April) right through till July. There is even a species that blooms in the fall (didn't know, want that one). I did a count when I got home (people were asking just how many I did carry). I have 12 listed on the web site. 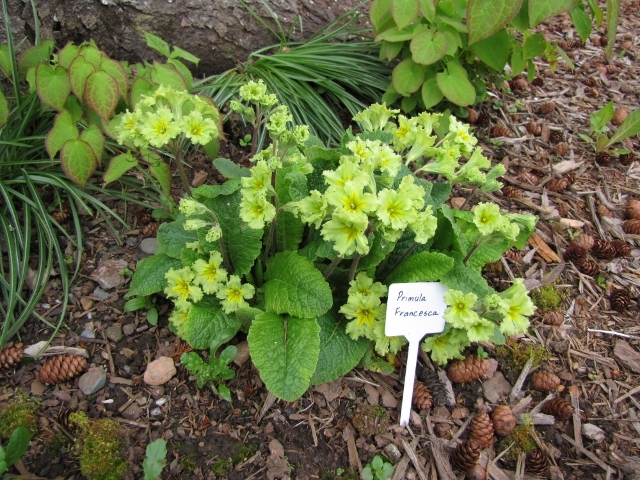 I know I have several colours of Pruhonicensis and have added more doubles since I last updated my list (limited supply). We were given 10 different species of seed. I can't wait to try. Pam Eveleigh was our speaker and instructor for the day. She has a great website, Primula World, everything you need to know about primula and amazing photos that put mine to shame. 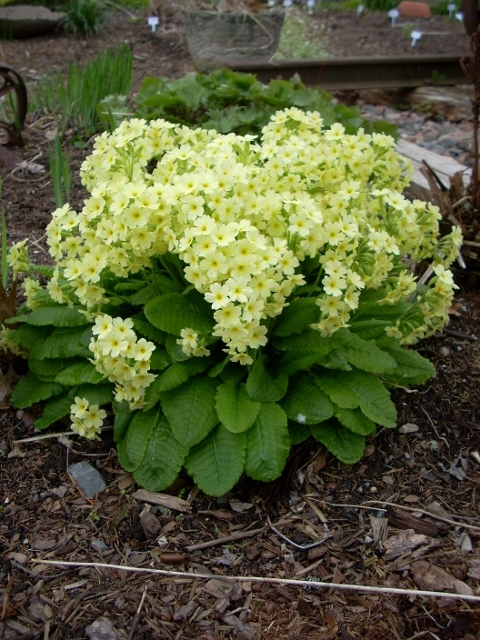 I love the Snowflake or Cherry Blossom Japanese (not to be confused with japonica) Primroses. 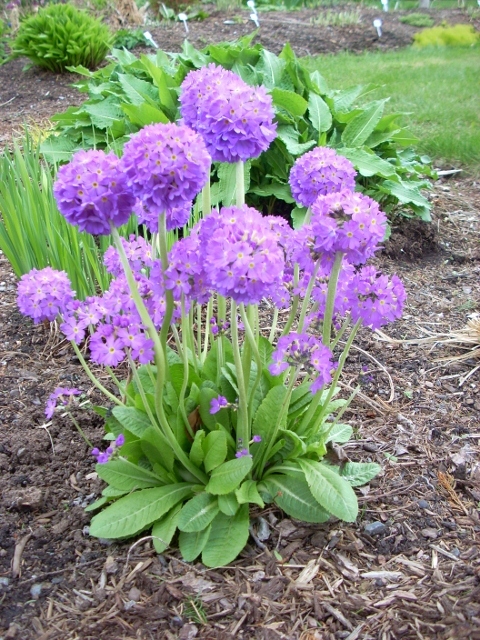 Instead of forming clumps, they grow by runners (not evasive). 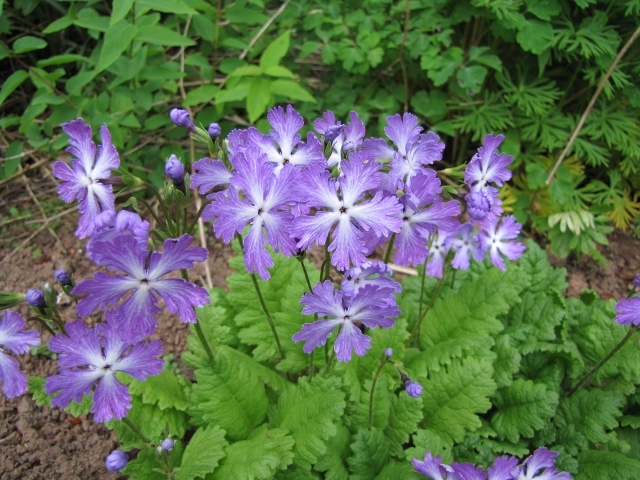 The foliage is an apple green and they bloom later than most (June). 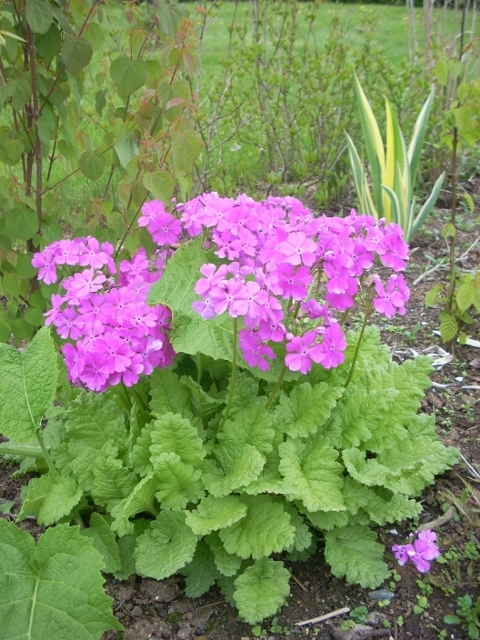 The foliage will die back in the summer if it is too warm or not enough moisture. I have to get me some more of these. I think I have raved about seed in the past, this primula (P. Pruhonicensis hybrid) was purchased from Garden's North in 2002. 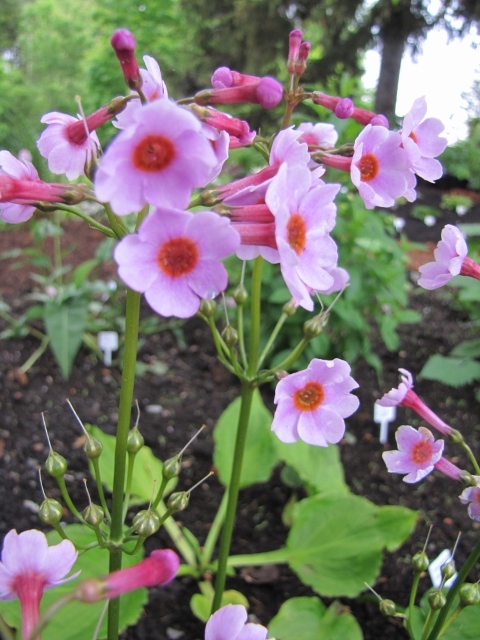 In the catalogue it states that they are polyanthas, but they don't quite look like them and I have not seen the name in any other reference search. There is P. Pruhoniciana although, but the images don't really match. I forgot to quiz Pam about this. A lovely post, on a wonderful genus of plants. It was a nice day, and I learned lots, which is always fun. Good to see you, and to see your collection.